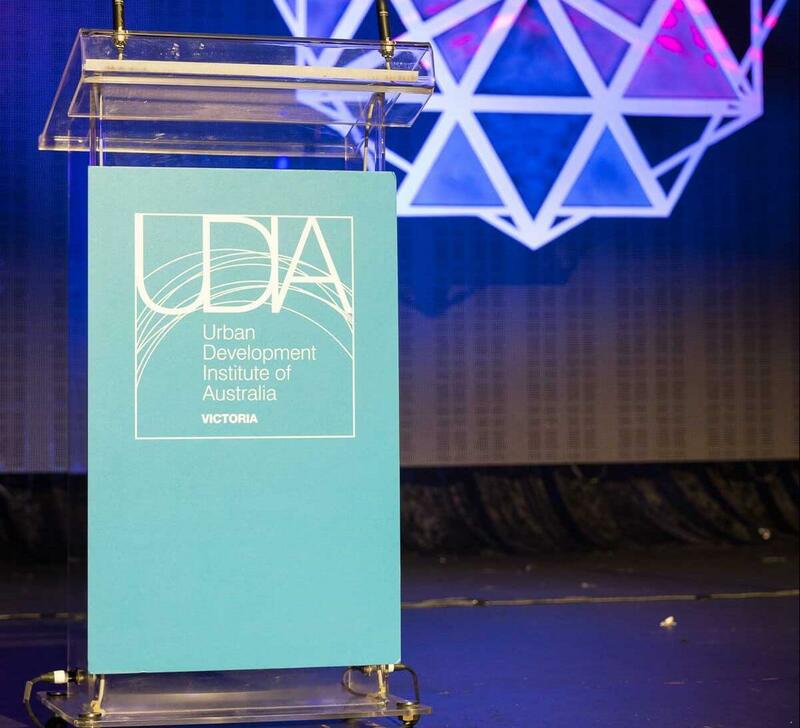 It was a full house of the Victorian Property Industry’s finest at Crown Palladium to hear the news that Baracon’s latest project Charlie, in Richmond was the recipient of the UDIA’s award for excellence in High Density Development. Baracon’s Managing Director, Brett Rogers was elated with the award which was testimony to the team who worked on the project including Architects Rothe Lowman, Structural Engineers Webber Design, Services Engineers Hyder Consulting and Building Surveyors Gardner Group. The project was built by Baracon Construction. Charlie is conveniently located within walking distance or a short tram or train ride, to Melbourne’s enviable café and restaurant culture, entertainment, the iconic MCG and the CBD. The initial concept by Architects Rothe Lowman was derived as much from the raw, industrial nature of the 2,825m2-size site, as by the need for a robust master planning solution that could slot into the existing, inner-urban landscape of this pocket of Richmond. In the first instance, the large parcel of land in the mixed use urban area, was divided by a neighbouring street. This street was then extended, leaving two parcels that would relate more closely to the adjacent context and uses. As described by architect Shane Rothe “The northern side of the new link road would become a 2-3 storey townhouse component and to the south, a seven-level residential building would be developed, comprising 96 apartments with sub-ground level car parking. The overall building form and massing was developed in direct response to the varying residential, commercial and industrial interfaces around the site, along with the diversity of existing built forms and building uses.” said Rothe. The projects award follows on from Baracon’s other recent successful projects in Carlton and South Yarra.